This block off plate is used to plug the hole left when removing the secondary cam angle sensor. 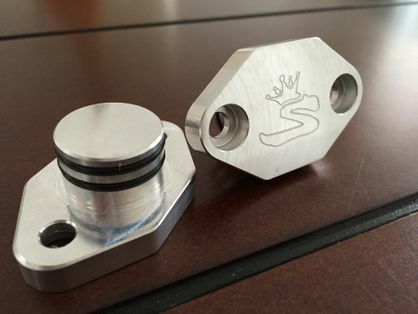 It is machined from 6061 Aluminum and has two o-ring groves to ensure a perfect seal. Used for non-VVTi engines only utilizing one cam sensor. Includes O ring seals. Available anodized, inquire for color choices.